For the life of me, I can't remember who sent me the "Buy Canadian" email this morning. I think it was Mike from Lowville, please correct me if I'm wrong... I got the instant message while balancing four burning issues. I thought it was a valid point and worthy of repeating here, so here's Mike from Lowville's "Buy Canadian" message to us all. I'll admit, I haven't been reading labels, but maybe I should start. What do you guys think? BUY CANADIAN ! ! ! You may want to check those labels when you do the grocery shopping, you will be shocked at were some of the items are coming from, I was for sure....spend more time shopping and it may help our fellow CANADIANS KEEP THEIR JOBS. Check this out. I can verify this because I was in Lowe's the other day for some reason and just for the heck of it I was looking at the hose attachments . They were all made in China . The next day I was in Home Hardware and just for the heck of it I checked the hose attachments there. They were made in Canada. Start looking. In our current economic situation, every little thing we buy or do affects someone else - even their job. So, after reading this email, I think this lady is on the right track . Let's get behind her! My grandson likes Hershey's candy . I noticed, though, that it is marked made in Mexico now. I do not buy it any more . My favorite toothpaste Colgate is made in Mexico now. I have switched to Crest .. You have to read the labels on everything. This past weekend I was at Wal-mart . I needed 60W light bulbs . I was in the light bulb aisle, and right next to the GE brand I normally buy was an off brand labeled, "Everyday Value." I picked up both types of bulbs and compared the stats - they were the same except for the price. The GE bulbs were more money than the Everyday Value brand but the thing that surprised me the most was the fact that GE was made in MEXICO and the Everyday Value brand was made in - get ready for this -in Canada in a company in Ontario. So throw out the myth that you can not find products you use every day that are made right here . My challenge to you is to start reading the labels when you shop for everyday things and see what you can find that is made in Canada - the job you save may be your own or your neighbors! 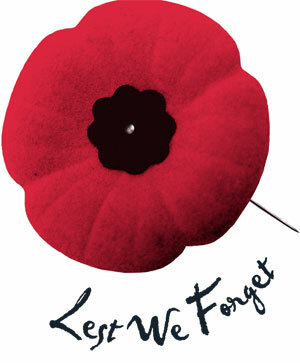 Let's get with the program . . . . help our fellow Canadians keep their jobs and create more jobs here in Canada. In 2000, a certain beer company launched an ad entitled "The Rant". You may have seen it. It starred Jeff Douglas as Joe, a proud Canadian with something to say. 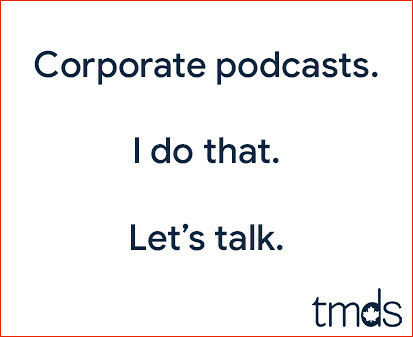 Here's the ad. On July 1, 2000, I was at Molson Park for an Edgefest when Jeff Douglas actually delivered this rant live. That's how popular this ad was. It didn't inspire me to buy beer, but nine years later, it's still a great ad. I am Canadian. 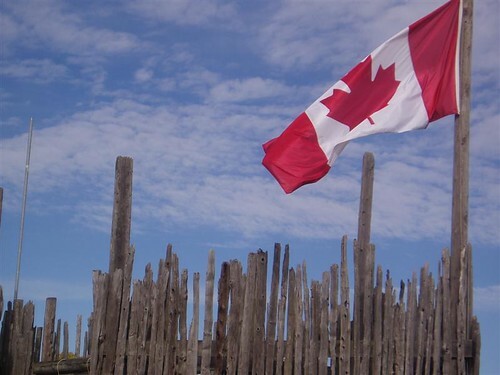 Happy Birthday, Canada, you're 142 years young today. Over the past 6.5 years I've written quite a bit about you. All of those posts can be found at https://www.torontomike.com/o_canada/. But here are a few of my favourites, in the order I wrote them. 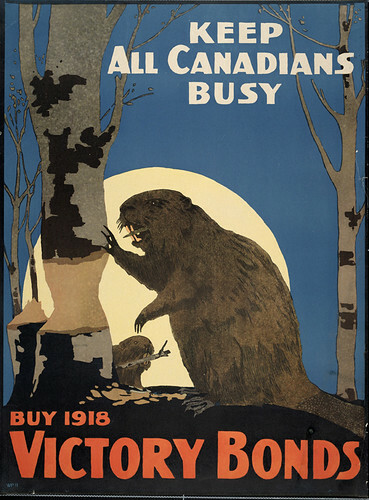 McGill University has a great collection of Canadian war posters online. The holdings of the Print Collection in the Rare Books and Special Collections Division include some 250 Canadian posters from the two World Wars. The posters are accessible to researchers who visit the Division's Lande Reading Room; a printed finding aid is available from the Reading Room Supervisor. This website contains basic descriptions and images of each poster, an artist index, a search facility, and an essay about Canadian War Posters. The search facility enables you to search by World War, by Category, by Artist, or by keyword. The results of your search are displayed as thumbnail images. Click on a thumbnail to obtain a larger image and a full description. Each description includes the following information: the poster ID number and title or lead text; the date, artist, and publisher, when known; size, and appropriate notes. I dig this sort of thing. Here's one of my favourites from WWI. I'm a sucker for all these Canadian music features the CBC like to throw at us every few years. The latest is from CBC Radio 2. 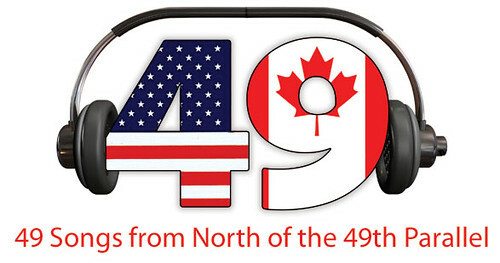 Starting this morning, CBC Radio 2 is inviting us Canadians to help select the top “49 songs from north of the 49th parallel” that would best define our country to the incoming U.S. President Barack Obama. It wasn't long ago CBC Radio One was choosing 50 Tracks, which inspired my Best Canadian Song Search. I wanted to compile a list of the 100 definitive Canadian songs. I wonder how CBC's 49 Songs will compare with my list. It'll be fun finding out. When they taught us in primary school about our Governor General, they always referred to the position as symbolic and merely a figurehead with no actual power. Canada is, after all, a democratic nation, and the Governor General is merely a tip of the hat to the Queen of England... a bow to our nation's royal roots. This crazy coalition government proposal is gaining steam, and it's looking like Governor General Michaëlle Jean is now a figurehead with actual power. The Liberals, NDP and Bloc have reached a deal that would make Stephane Dion our Prime Minister and put members of the NDP in cabinet positions. The Bloc won't vote against this coalition for at least 18 months. This means Dion will become PM without an election, even though he himself is stepping down in May as the Liberals appoint a new leader, who would then become our new Prime Minister. Of course, it's all going to be up to Michaëlle Jean. She has the power to agree to this proposal or deny it, sending us back to the polls for yet another election. It's her call, this symbolic nod to our old British ties has teeth. And if this coalition chatter has you feeling dizzy, don't feel bad. We're in unchartered waters here. We have a parliamentary system that's quite a bit more malleable than that cut and dry electoral-college-vote-for-president thingy down south. You won't find me joining Facebook protest groups or rallying against it with others who feel it's undemocratic. It's parliamentary pandemonium and it's crazy enough to work. Humble posted this today. It's a piece by NBC News on our Highway of Heroes.